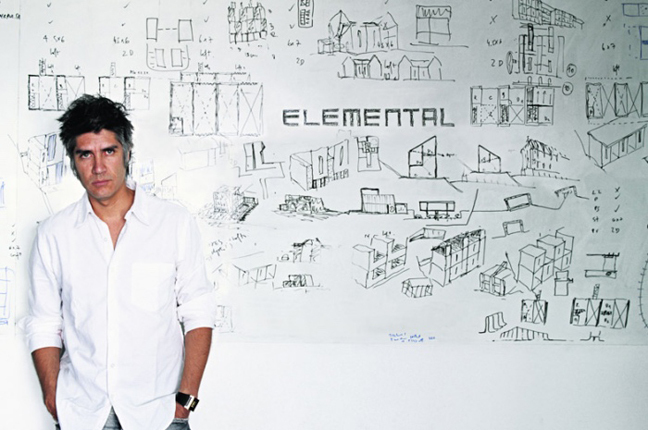 The 15th International Architecture Exhibition, titled REPORTING FROM THE FRONT, is curated by Alejandro Aravena and organized by La Biennale di Venezia chaired by Paolo Baratta. 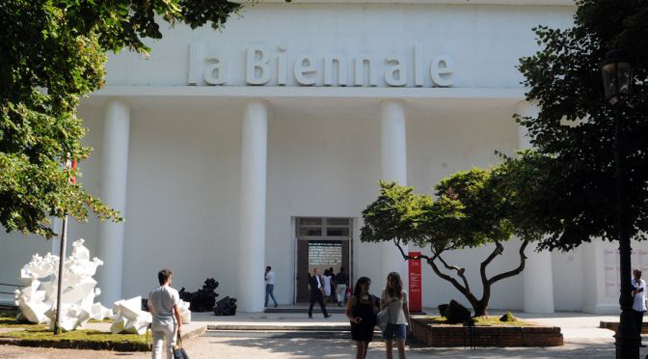 The exhibition will be open to the public from Saturday May 28th to Sunday November 27th 2016 at the Giardini and the Arsenale. Alejandro Aravena said: “In his trip to South America Bruce Chatwin encountered an old lady walking the desert carrying an aluminum ladder on her shoulder. It was German archeologist Maria Reiche studying the Nazca lines. Standing on the ground, the stones did not make any sense; they were just random gravel. But from the height of the stair those stones became a bird, a jaguar, a tree or a flower. 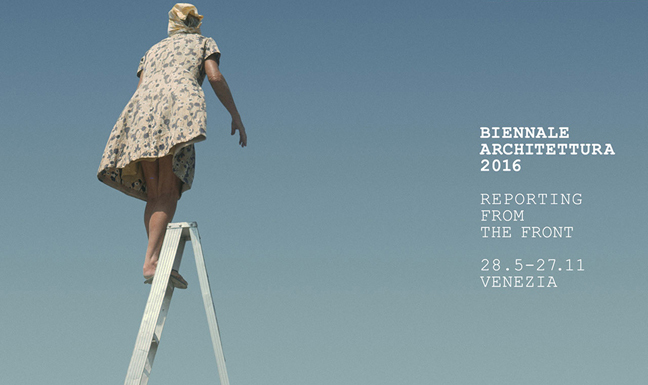 We would like the Biennale Architettura 2016 to offer a new point of view like the one Maria Reiche has on the ladder. Given the complexity and variety of challenges that architecture has to respond to, REPORTING FROM THE FRONT will be about listening to those that were able to gain some perspective and consequently are in the position to share some knowledge and experiences with those of us standing on the ground. We believe that the advancement of architecture is not a goal in itself but a way to improve people’s quality of life. Given life ranges from very basic physical needs to the most intangible dimensions of the human condition, consequently, improving the quality of the built environment is an endeavor that has to tackle many fronts: from guaranteeing very concrete, down-to-earth living standards to interpreting and fulfilling human desires, from respecting the single individual to taking care of the common good, from efficiently hosting daily activities to expanding the frontiers of civilization. Our curatorial proposal is twofold: on the one hand we would like to widen the range of issues to which architecture is expected to respond, adding explicitly to the cultural and artistic dimensions that already belong to our scope, those that are on the social, political, economical and environmental end of the spectrum. On the other hand, we would like to highlight the fact that architecture is called to respond to more than one dimension at the time, integrating a variety of fields instead of choosing one or another. REPORTING FROM THE FRONT will be about sharing with a broader audience, the work of people that are scrutinizing the horizon looking for new fields of action, facing issues like segregation, inequalities, peripheries, access to sanitation, natural disasters, housing shortage, migration, informality, crime, traffic, waste, pollution and participation of communities. And simultaneously will be about presenting examples where different dimensions are synthesized, integrating the pragmatic with the existential, pertinence and boldness, creativity and common sense. Such expansion and synthesis are not easy to achieve; they are battles that need to be fought. The always menacing scarcity of means, the ruthless constraints, the lack of time and urgencies of all kinds are a constant threat that explain why we so often fall short in delivering quality. The forces that shape the built environment are not necessarily amicable either: the greed and impatience of capital or the single mindedness and conservatism of the bureaucracy tend to produce banal, mediocre and dull built environments. These are the frontlines from which we would like different practitioners to report from, sharing success stories and exemplary cases where architecture did, is and will make a difference“.